From February to September 1988 Saddam Hussein launched the most repressive campaign of his rule. This was the time of the Anfal, when the government temporarily destroyed the two main Kurdish opposition parties, the Patriotic Union of Kurdistan (PUK) and the Kurdistan Democratic Party (KDP). This was accomplished through the leveling of thousands of villages by conventional and chemical weapons. The survivors were put into camps, where many were killed and the others dispersed into government controlled areas. This was a much more vicious and systematic offensive than previous ones against the Kurds. The 1st Anfal lasted from February 23 to March 19, 1988, and targeted the Patriotic Union of Kurdistan’s (PUK) command center in the Jafati Valley of Sulaymaniya province. It started with Iraqi forces opening a 40-mile front in the valley in Sulaymaniya province. On February 23, the villages of Yakhsamar, Sergalou and Bergalou were shelled. The PUK’s pershmerga were able to hold off the government forces for a few weeks, but eventually gave way by early March. Several towns fell, and each one was bulldozed and dynamited. Some of the displaced fled to neighboring Iran, which had a large population of Kurdish refugees from previous government attacks. In these opening weeks, Middle East Watch estimated that 28 people were killed, and 300 wounded. This was the opening salvo of the government’s plan to destroy the popular base of the Kurdish parties. While many PUK fighters were killed, the real target was the rural towns and population that the opposition relied upon. The 2nd Anfal went from March 22 to April 1, and revealed the true outline of the Baath Party’s plans. Government forces targeted PUK held areas of Qara Dagh, Sulaymaniya, which had fallen to it in the early 1980s. The region had been attacked and gassed by the army in January and February, and Iraqi intelligence said that the peshmerga militia had been dispersed, but by March they had moved back in. On March 22, Qara Dagh was hit with chemical filled artillery shells. The next day, a neighboring village that was a PUK base was attacked. On March 24, another hamlet that was used by the Kurdistan Democratic Party (KDP) for its operations against Kirkuk was gassed. As people fled from these villages, chemical weapons hit them as well. The survivors that were rounded up were taken away to detention centers, where they were split up by gender. Many of the men were taken away, and never seen again. The operations in March revealed some of the main tactics of the Anfal campaign. Villages would be attacked, sometimes with gas, and then the people captured would be sent away to camps. The goal was to eventually empty out the rural areas, to deny any kind of support to the Kurdish resistance. 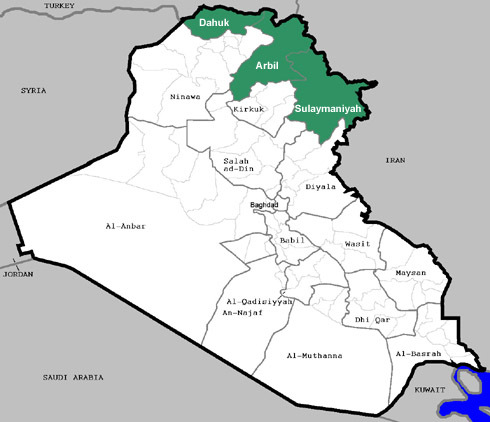 The 3rd Anfal lasted from April 7 to 20, and focused upon the Germian area of Sulaymaniya. This was a place where peshmerga and refugees from previous attacks were gathering. They were set upon by a large pincer attack by Iraqi forces, which funneled people into collection points where they were arrested. In the process some 120 villages were destroyed. The 3rd Anfal was also noteworthy because women and children who were captured and placed into camps began being taken away and killed. Some were taken to Hatra in Ninewa province and executed, while others were transported as far as southern Iraq to be killed and buried. In April 2005 for example, a mass grave was found near the city of Samawa in Muthanna province that held as many of 1,500 Kurds most of which were women and children killed during this period. This marked a new level of brutality as before only men were killed in the camps. The government was initially targeting anyone that could be considered a peshmerga or someone who might become one in the future. Now, the authorities were going after everyone, no matter what their age or gender in a brutal campaign to destroy the civilian population. The 4th Anfal started on May 3, and occurred along the Lesser Zab River, Sulaymaniya. On the first day, the town of Kogtapa was hit with chemical bombs. Another massive multi-pronged assault was then begun in the area. As before, towns were destroyed, refugees were rounded up, and put into camps. The 5th Anfal marked the end of the PUK’s presence in Iraq. It focused upon the Balisan Valley in Sulaymaniya from May 15 to August 26. By then, the campaign had forced the PUK from most of their strongholds, and they were on the run. On May 23, the 5th Anfal began with a chemical attack upon villages in the valley, followed by infantry attacks. 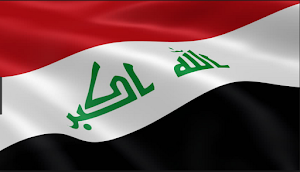 In the middle of the offensive on July 17, Iran told the United Nations they would accept a cease-fire with Iraq in the Iran-Iraq War. This was a major blow to the Kurds, because Iran was their main supporter. Having lost most of its base, its foreign support, and being faced with more and more infantry and chemical attacks, the PUK decided to withdraw from Iraq into Iran. By the end of August, the party was devastated. Its fighters and supporters were dispersed along the Iranian border or within Iran itself. It had ceased to be a fighting force, and had no real camps or villages to go to anymore within Iraq. The final Anfal was from late August to the beginning of September. With the PUK defeated, the Iraqi government then focused upon the KDP in Dohuk province. 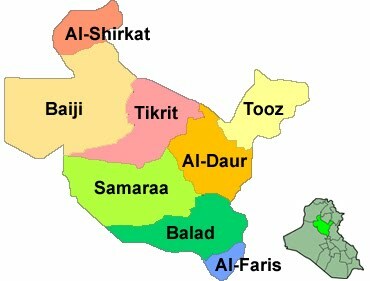 The cease-fire with Iran allowed Baghdad to deploy new divisions to the north as reinforcements. In total, 200,000 troops were deployed against 6,000-10,000 KDP peshmerga. The assault started with artillery and aerial bombardments. The KDP headquarters was attacked on August 24. 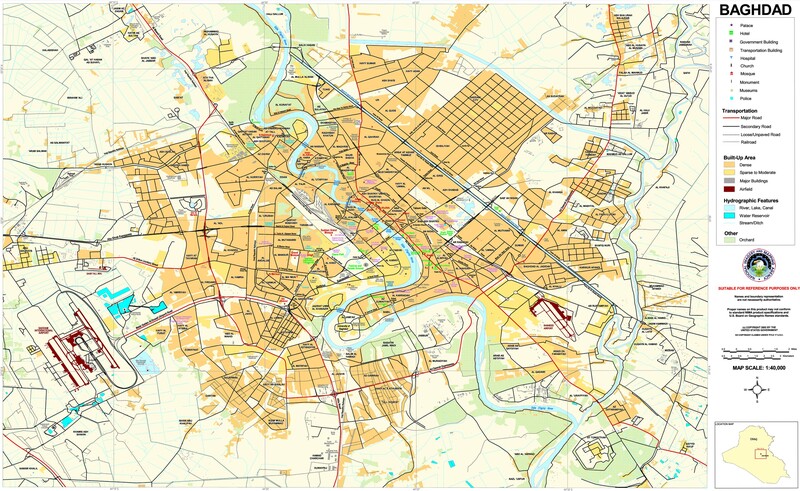 On August 25, chemical weapons were used against villages throughout the area. Like the PUK, the KDP eventually ordered its followers to withdraw in face of the overwhelming onslaught by the government. The Army tried to block their escape, but failed. 65,000-80,000 people ended up fleeing towards Turkey. Others hid in the mountains. The situation was made worse when Turkey blocked the border. It was afraid that the Iraqi Kurds would enflame its own Kurdish situation. Eventually, under international pressure, Turkey allowed the refugees to enter, but they were only given minimal aid, and Ankara tried to force most of them into Iran. The effective end of the Iran-Iraq War, not only eliminated the Kurds’ main military supporter, but also sent more troops to the north. The PUK’s presence in Iraq had already been eliminated by the end of August. By the beginning of the following month, the KDP had fled Iraq as well. 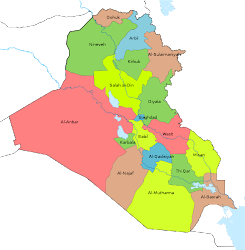 The Iraqi government was so confident that it had finally defeated the PUK and KDP that it issued an amnesty in September. The order said that all Kurds within and without Iraq, except for Jalal Talabani who was labeled a traitor, had until October 8 to turn themselves in. Those that did were sent to two camps. In total, some 45,000 Kurds ended up returning. Some were held as late as 1990, but the majority was dispersed to different areas away from the Iranian-Turkish border. Many ended up settling in the major cities and towns of Kurdistan or just outside of them. 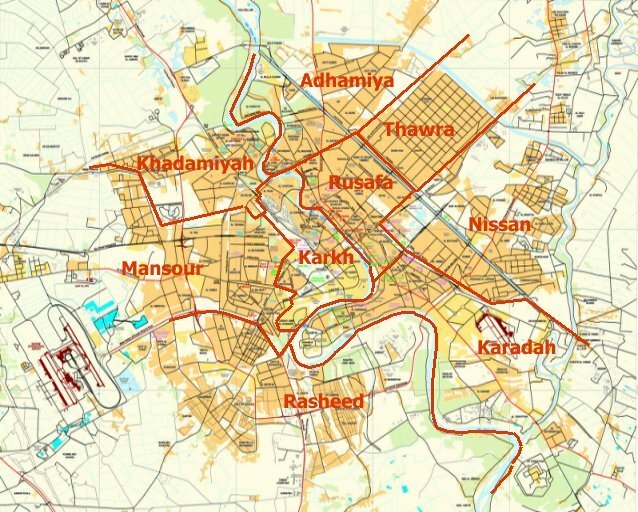 Baghdad thought it had finally gotten rid of the Kurdish parties, so it allowed those that wanted to return to Iraq, but under the watchful eye of the authorities. Saddam Hussein wanted to make an example out of the Kurds for challenging his power. 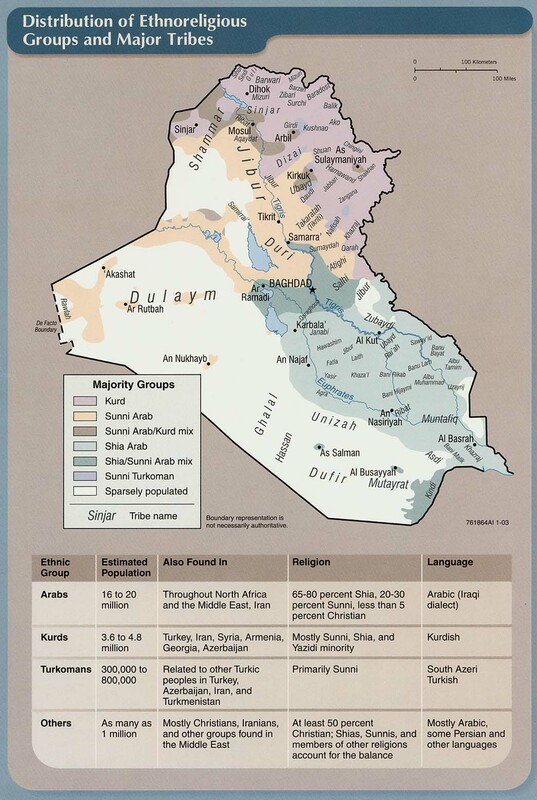 The Kurds were pushing to create their own country, which would require the dismantling of part of Iraq. 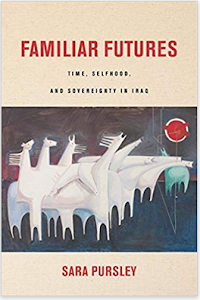 The Iraqi government had gone back and forth with the Kurds previously, offering them talks while wiping out villages and settling Arabs in the north at the same time. In 1975 it actually drove the KDP out of the country, and into Iran. There the peshmerga re-grouped, and made a return during the Iran-Iraq War. By 1986 however, Saddam had enough as the Kurds were in control of most of rural Kurdistan. In 1988 he launched Anfal. Human rights groups believe that 50,000-100,000 people were killed as a result, the Kurds claimed 182,000, while Ali Hassan al-Majid, the man in charge of the campaign, claimed he had done away with around 100,000 people. After the Anfal there were only 673 villages left in the three Kurdish provinces of Iraq. 4,049 had been destroyed. 1.5 million people had been displaced or resettled by the government. The KDP and PUK were smashed, and the rural areas of northern Iraq were devastated. 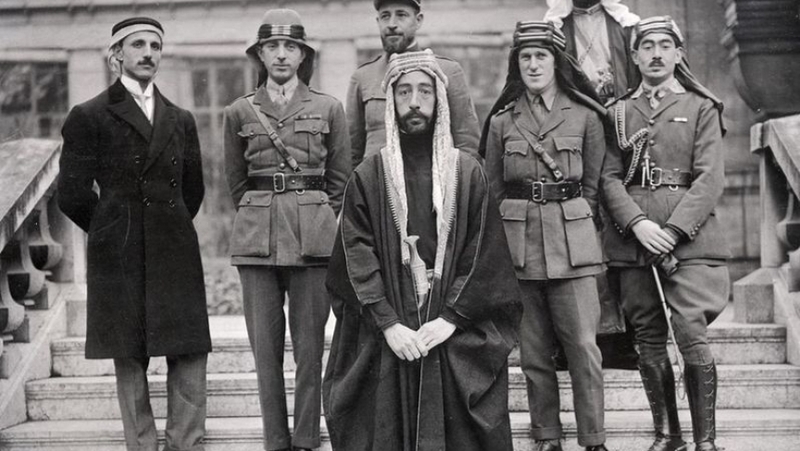 The government believed that it had done away with its Kurdish problem, and was in control of the country. That proved transitory as the PUK and KDP would eventually regroup in Turkey and Iran, and continue the fight another day. In the meantime, the Kurdish countryside was left deeply scared with the ruins of most of its villages, and the bodies of thousands of people. Anfal showed the extent to which Saddam was willing to go to ensure his rule of Iraq. Who Is Behind The Assassinations In Iraq?